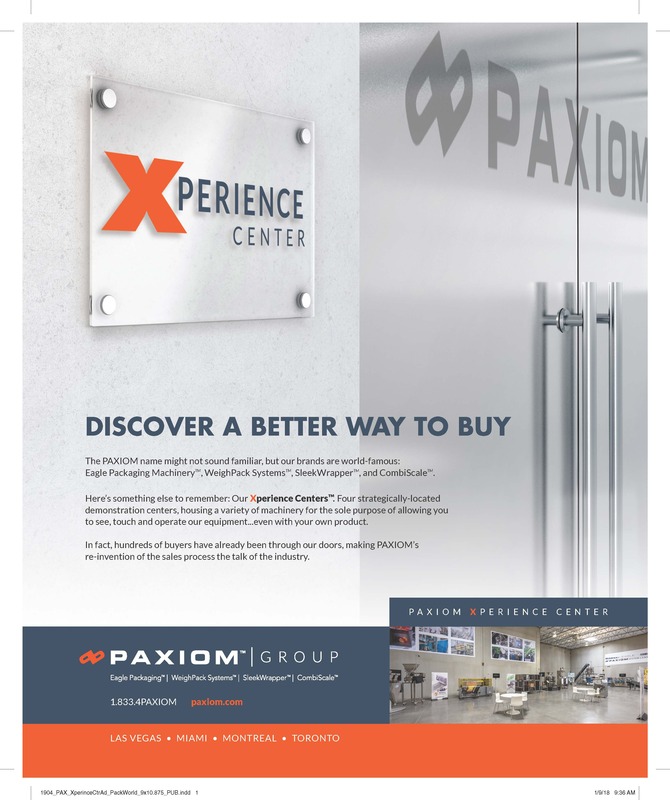 We are excited to present our new campaign emphasizing the Paxiom Xperience. We are not your normal packaging machinery company and never want to be. We provide all our customers the opportunity to see, touch and operate our packaging solutions at any of our Xperience Centers. Make an informed decision by allowing us to prove how we can help your business. Visit us and see our wide range of automatic weigh filling, bagging, flow wrapping, case erecting, tray forming and conveying solutions.